TOKYO (Reuters) - Japanese fair trade regulators raided last month the offices of Airbnb Inc over suspected violations of antitrust laws, the home rental site said on Friday, denying any wrongdoing. The Japan Fair Trade Commission (JFTC) carried out an on-site inspection of Airbnb and the company is cooperating with the regulators' investigation, Airbnb Japan said. A JFTC spokesman declined to comment. 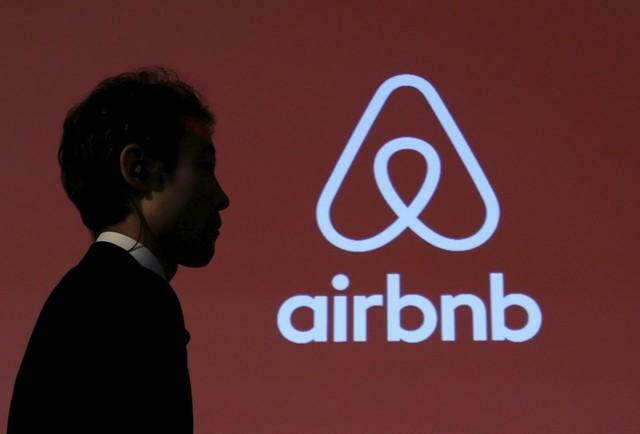 Regulators seized documents from Airbnb in Tokyo on suspicion that it broke antitrust rules by asking users not to list properties on rival sites, according to the Nikkei business daily. "All hosts and partners in Japan who list properties on Airbnb are able to list them on other platforms, and we will work with the JFTC to address any questions they may have," a Singapore-based Airbnb spokesman said. The Nikkei said that Airbnb forced some users to sign contracts promising not to use other sites. The Airbnb spokesman said this was not the case. Airbnb competes with hotels and other traditional forms of lodging from bed and breakfasts to holiday lets by helping people rent out their homes or apartments, either in full or as part of a house-share. But as with its taxi-hailing peer Uber Technologies Inc [UBER.UL], Airbnb's rise has seen a growing crackdown by legislators in cities such as Amsterdam and Barcelona. The hotel industry sees Airbnb and other services as providing unfair competition, while community groups have criticized the site for driving up property prices and contributing to housing shortages as landlords buy to let. In Japan, a scarcity of hotel rooms in metropolitan areas and record numbers of tourists have presented an opportunity for short-term rental providers such as Airbnb ahead of the 2020 Olympic Games. But community worries about noise and safety, along with opposition from hotels and traditional "ryokan" inns, have presented obstacles to efforts to loosen regulations on short-term rentals. In June, Japan passed a law allowing people to rent out their homes for up to 180 days, after registering with the authorities. Airbnb said five million people had used its service in Japan - its most popular destination in Asia - in the last twelve months.